Suppose I am a member of some public groups. But I don't want people, be it friends or 'everyone', to see a list of all public groups that I am in. Only I should see a list of all public groups that I am in. I have read that there is an option for "Groups" in "more....manage sections." I see no Groups option here looking at this pic below. Click on "Hide Section" from the drop-down. Done. How exactly does Facebook's “Friends of Friends” visiblity play together with “hide from” beyond the first level? 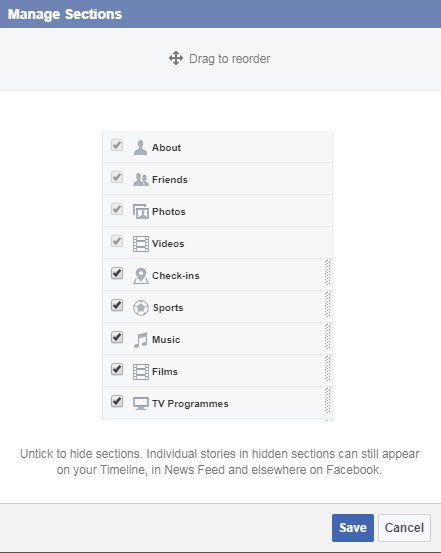 How NOT to see updates in my Facebook feed from people in my Restricted list? On Facebook, can I post publicly but hide the status from my friends? Why can't I see some mutual Facebook friends? Where would I look at if I want to know all comment activities of my Facebook friends? How to allow everyone to see the posts I am tagged in? In Facebook, Groups is missing from “more” menu. How can I return it?